It'll certainly spice up the Tokyo drag racing scene! Unveiled at the Tokyo Motor Show, the MotoBot is an autonomous motorcycle-riding humanoid robot that can ride an unmodified motorcycle around a race track at high speed. The robot, which is the work of Yamaha's robotics lab, is currently being tested and tweaked, with the overall goal of the project being to get MotoBot to hit 200 km/h (124 mph). 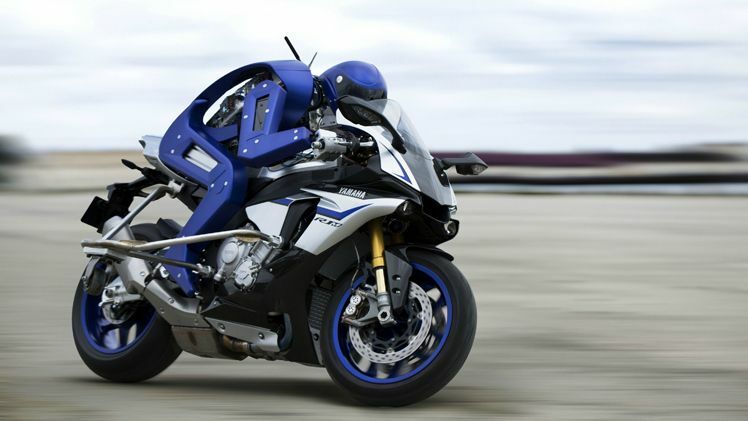 Right now the MotoBot's ride of choice is Yamaha's eye-bleedingly fast R1M 1000cc flagship, however, the humanoid has been developed so that it can operate any unmodified bike, adding a large dose of transferability to the futuristic tech. Considering the large degree of incredibly complex motions needed to ride a motorcycle at high speed, Yamaha also hope that by analysing the MotoBot they can feed data back to their motocycle division to create even more advanced safety and rider-support systems for real life humans. The fact that Yamaha has already called out legendary superbike rider Valentino Rossi to a drag race too, adds to the excitement that the MotoBot technology could have a big impact in the autonomous tech field. Check out this short video below of the MotoBot in action.